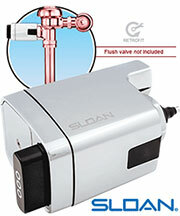 The enzymatic automatic bowl cleaner, is placed in the tank to continuously clean the bowl. 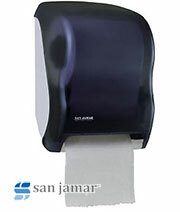 It turns the water blue so you know it's clean & fresh. This bio-enzymatic has redesigned packaging to make it easier to fit in a wide variety of tanks. 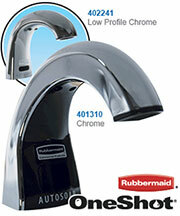 It lasts for 900 flushes and has increased surfactant concentration so it cleans better than ever. 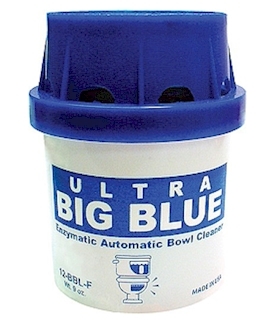 Ultra Big Blue releases billions of beneficial bacterial to consume bio materials that cause odors, keeping your bowl clean, blue and fresh.